Home > 2016 > Event > DARTSLIVE OFFICIAL PLAYER > DARTSLIVE OFFICIAL PLAYER in GLOBAL MATCH!! 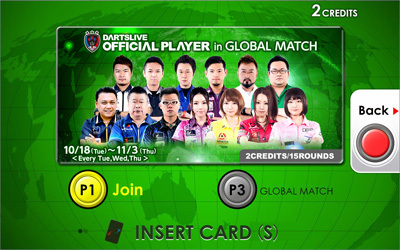 DARTSLIVE OFFICIAL PLAYER in GLOBAL MATCH!! GLOBAL MATCH event will be held on Tue‚ Wed and Thu from Oct 18 to Nov 3. 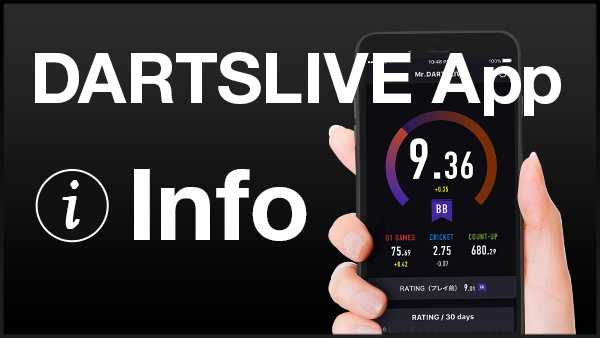 DARTSLIVE OFFICIAL PLAYER will join the event every time! Lucky participants will win a special DARTSLIVE CARD of a popular DARTSLIVE OFFICIAL PLAYER!! 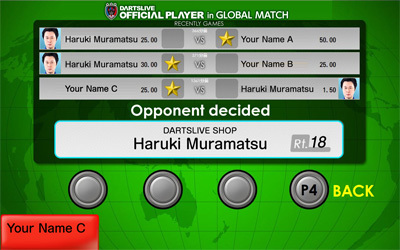 Go to the shop with DARTSLIVE2 near you on Tue‚ Wed and Thu nights! *Before the event hour‚ only regular “GLOBAL MATCH” is available. *If “GLOBAL MATCH” is selected‚ the regular GLOBAL MATCH screen will appear. Matching process starts and your opponent will be selected automatically. Just play GLOBAL MATCH as you usually do！Show people what you got in 701! 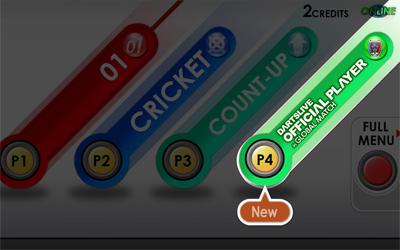 *Based on the ratings of the players in a match‚ auto handicap will be applied. From the participants of this event‚ we will pick 39 via drawing as the winners to receive a special DARTSLIVE CARD of DARTSLIVE OFFICIAL PLAYER! *A gift logo will appear on your member page if you win. This website will announce the list of the winners as well. 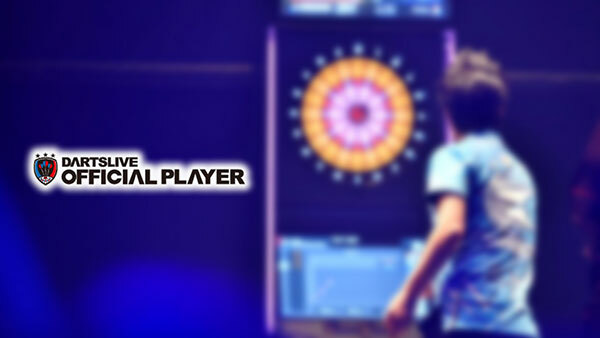 *The gift will be sent in late Nov.
･DARTSLIVE CARD is required to participate in this event. ･This event is subject to change without prior notice.